The Hamburg Planetarium is a planetarium in Hamburg , which since 1930 in Hamburg's city park in a former water tower is an observation platform at a height of 42 meters. The Dresden architect Oscar Menzel won a 1908 competition for the construction of a large water tower in the suburb of Winton . 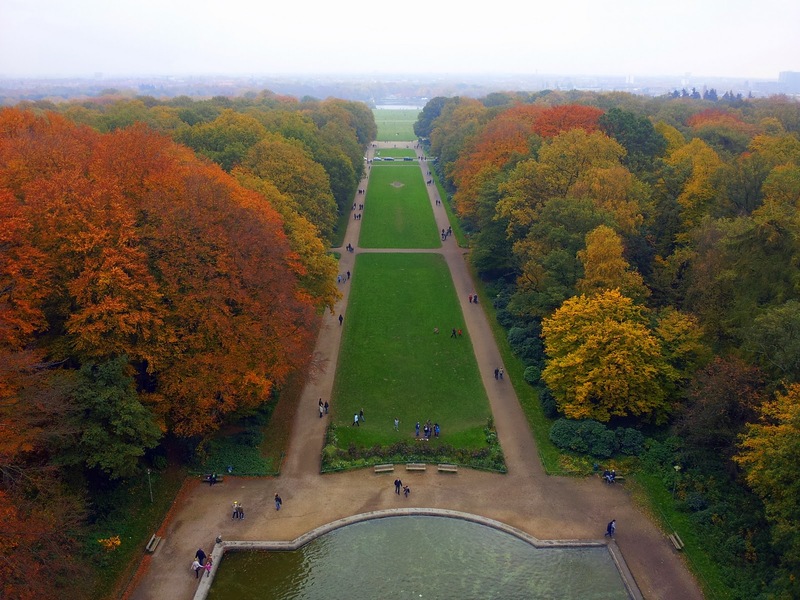 The nearly 65 m high tower from 1912 to 1915 was directed by Fritz Schumacher built and commissioned during the First World War in operation. 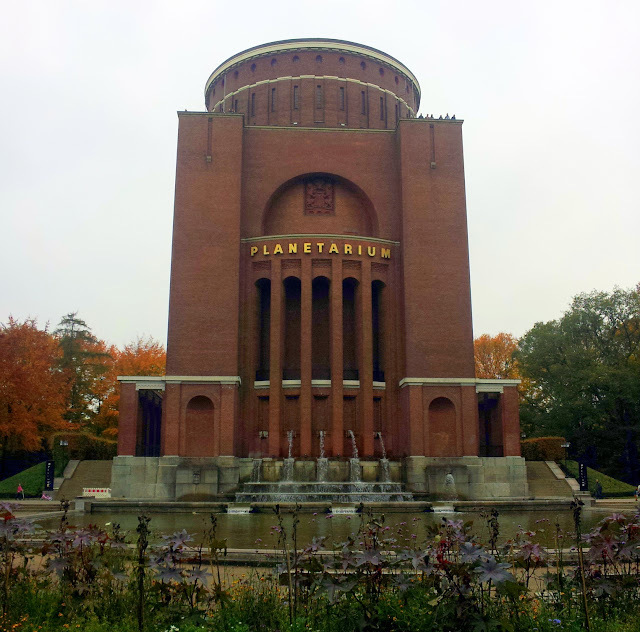 The planetarium was opened in April 1930. The core of the museum is a projection dome with a diameter of 20.6 meters. Here the visitor can observe past and future space-experience, eclipses, auroras, meteors and space effects. 2002/03, the Planetarium in 15 months has been extensively remodeled with many technical innovations. In addition, early 2009's digital projection system has been revamped. I saw the event "Planet Erde: Alarmstufe Grün (3D)". This was actually the first 3D film I had ever seen, and to be honest, I found it difficult to watch. As I do not watch TV or film at all, the motion in combination with the tranquility of the images hypnotized me into immediate sleep. I could not stay awake. However, when I removed the glasses, I found it a bit easier. Certainly, an excellent theater, nonetheless. 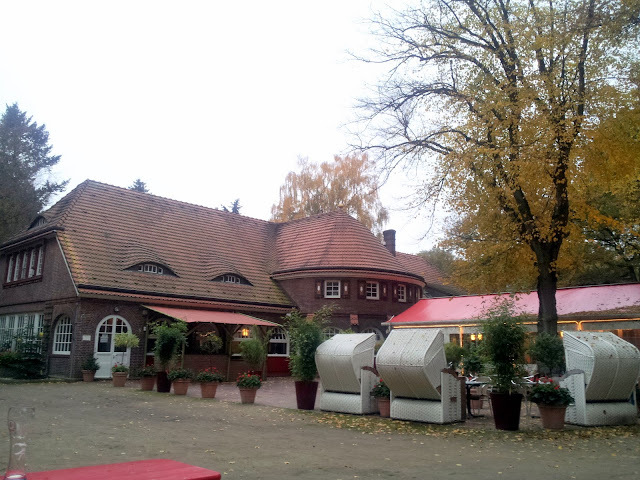 After the show, I walked to the nearby biergarten, the Landhaus Walter, the largest of its kind in Hamburg.